We are so proud of our team of Interior Designers and love to highlight their work. 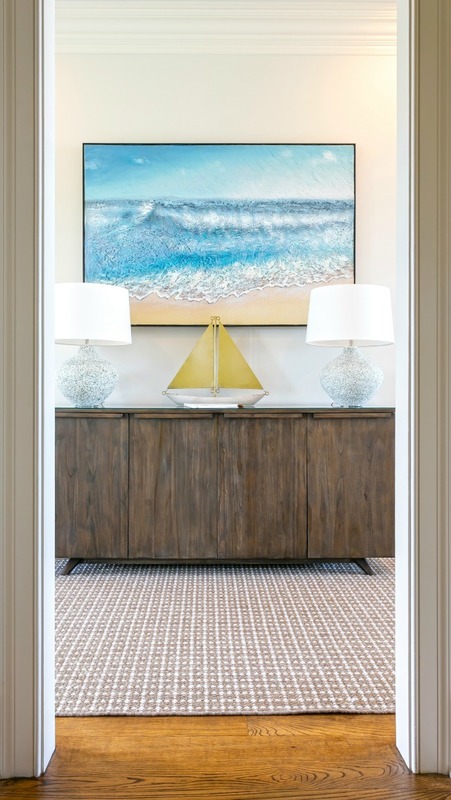 Recently, Charleston Home + Design Magazine featured Kimberly’s Isle of Palms waterfront home makeover, and we wanted to share her amazing work! Editorial from Charleston Home + Design Fall 2018 Issue with Photography by Ebony Ellis. 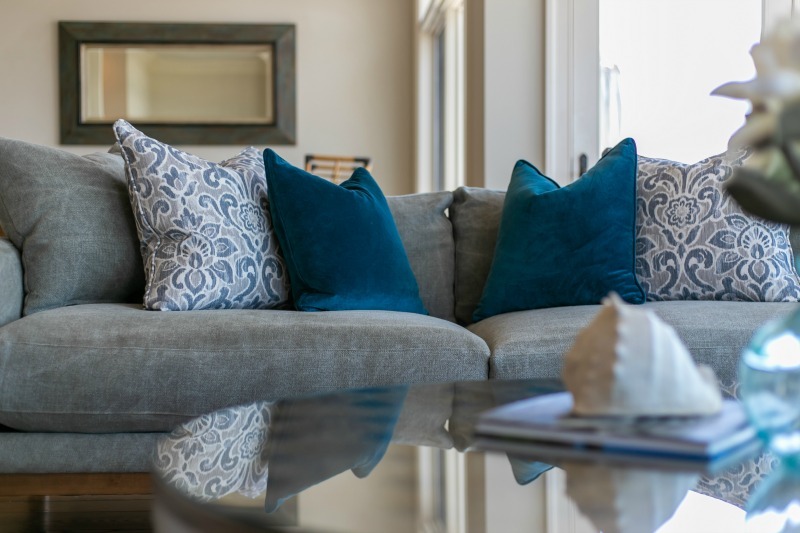 Working with an interior designer as a part of a vacation or investment property process is still commonly viewed as a luxury service by homeowners, but interior designers do more than just choose colors, furnishings, and accessories. They design and style spaces with the vacationers’ needs in mind. Comfort, durability and tranquility are key desires for oceanfront dwellers looking for a relaxing place to call “home” for a few days. 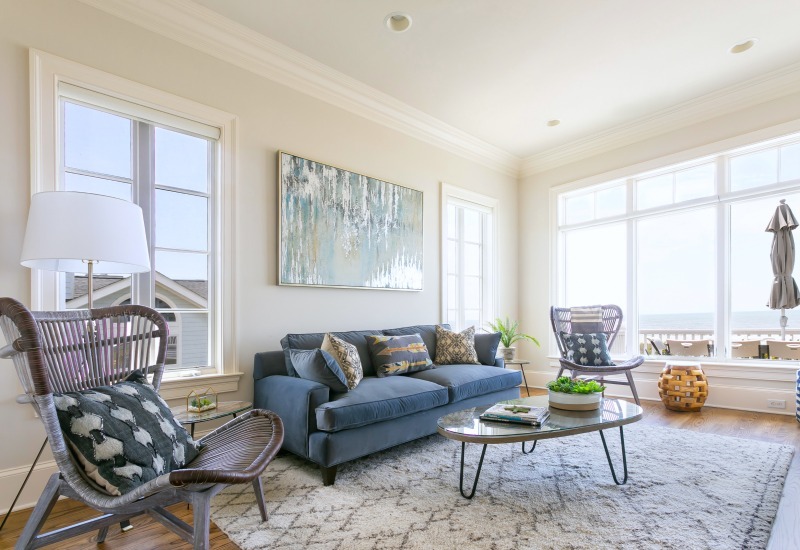 Kimberly Tall, Lead Designer of Aiden Fabrics, was called into this Isle of Palms home to transform it into an island oasis with updates and furnishings suitable for the entire family. Kimberly set to work asking all of the right questions about functional needs and personal tastes for each space. 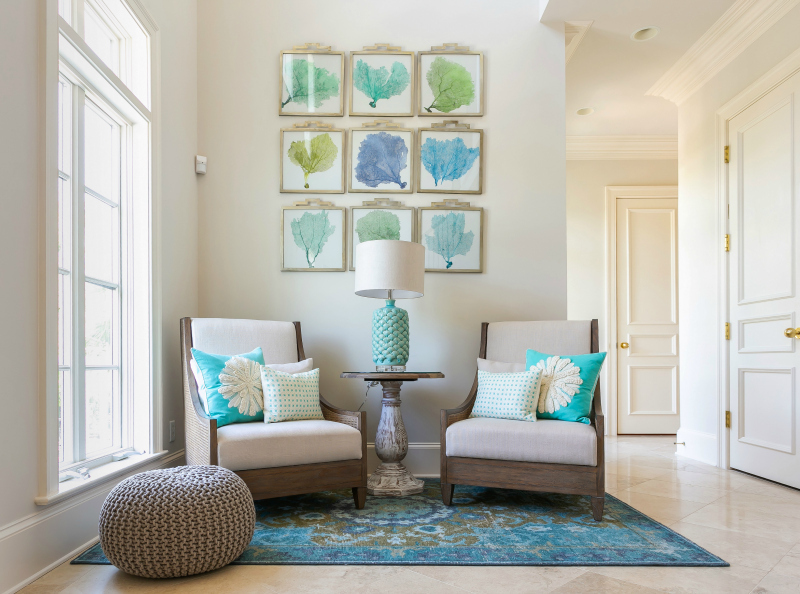 Kimberly wanted to create a vacation-style home with spaces that felt design-forward and inviting for the adults to relax in as well as functional areas for the kids to enjoy. The two main living spaces, for example, are both filled with durable and stain-resistant textiles like Sunbrella and Crypton Fabrics. 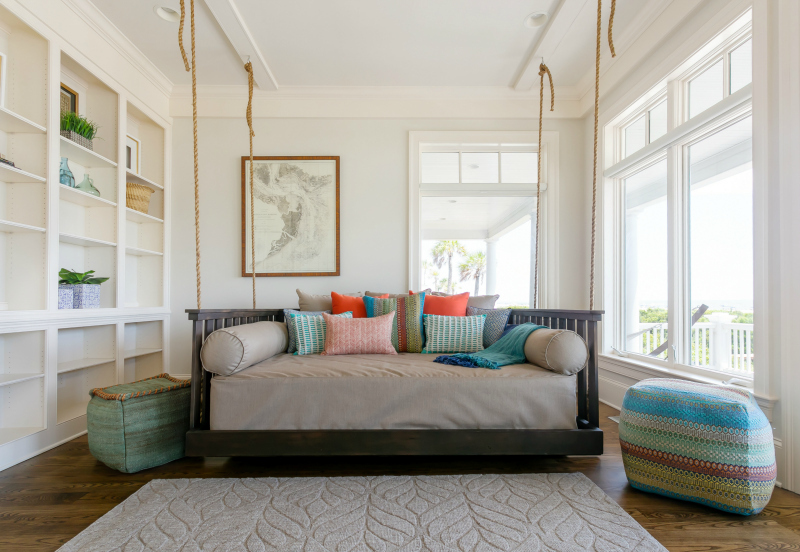 The downstairs flex space was mostly designed with children in mind featuring colorful, fun and kid-friendly elements like the Queen bed swing, which can be used as extra accommodations. 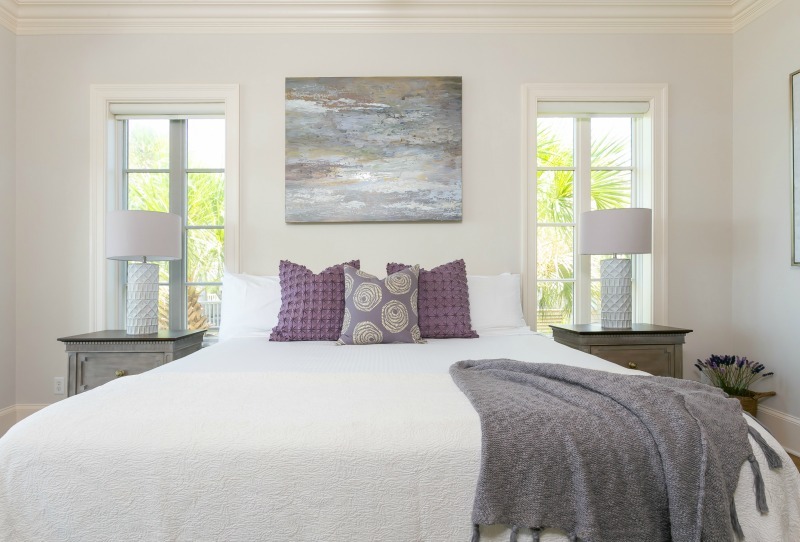 Wild Dunes manages this property and works closely with Kimberly and Aiden Fabrics with referrals and vacation property design concepts and installations. 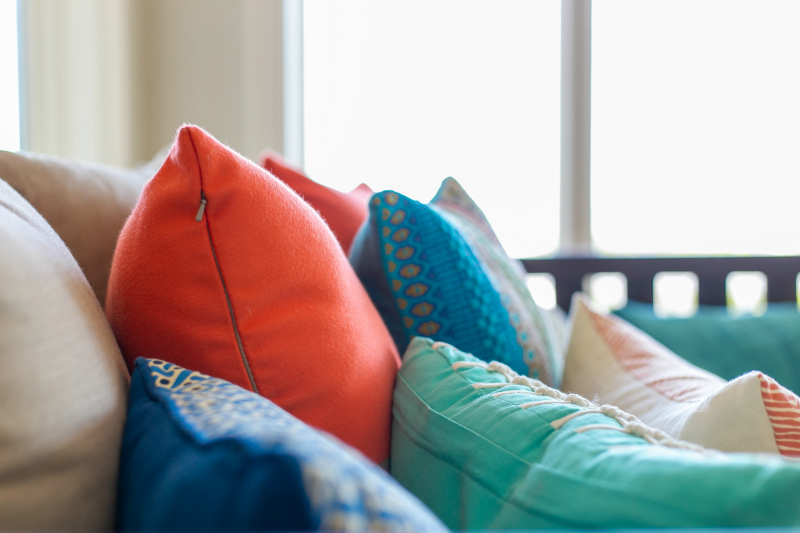 The team recommends working with durable and fade-resistant textiles in rental homes that will stand the test of time so property owners can easily maintain them. 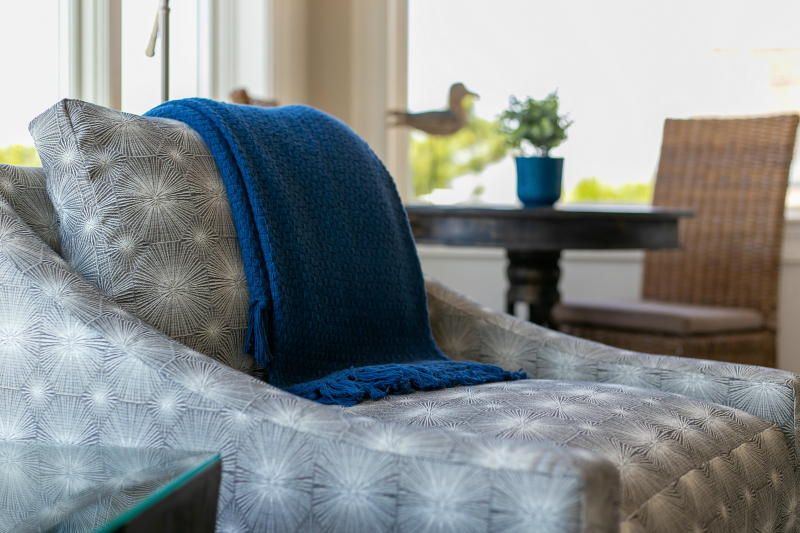 The Aiden design team serves as a one-stop shop for project collaborations – from designing full homes and hiring sub-contractors to selecting key pieces and fabric applications. If you’d like direction with your interior design project, we invite you to fill out our short form to schedule an initial consultation with a member of our experienced team. We look forward to working with you!